Looking for all the best family movies coming out in the next few years? We’ve got you covered with upcoming releases from Disney, Sony, Dreamworks and more! Have you heard the big news? Disney announced EVERY one of its movies coming out through 2019! They made the big announcement during their D23 fan convention. As you may know, Disney encompasses more than just beautiful animated fairy tales. 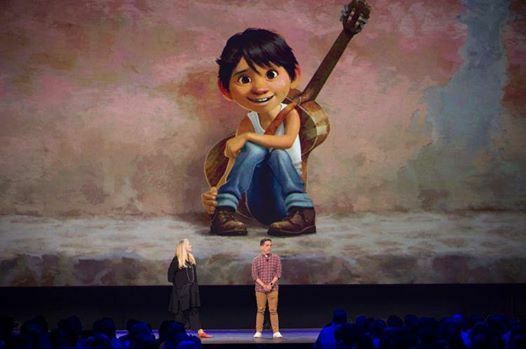 This announcement includes upcoming hits from Marvel, Lucasfilm and, of course, Pixar. Let’s check them out! Be sure to come back to this page often, we’ll update it with links to our posts about all these great family movies! Some of these are already out, others are on the schedule. Check back frequently as we’ll be updating with links to all our posts on the movies! Which is on your must-see list for this year? Trailers are included when available. This movie released on January 19, 2016. The Finest Hours is a true story adventure film about a daring rescue off the coast of Cape Cod in 1952 that happened after a massive storm destroyed two oil tankers. Stars Casey Affleck, Chris Pine and Eric Bana. After watching it, be sure to check out more great family movies based on true stories! Released on March 4th, Zootopia is already a smashing success! We’re completely enamored with this animated mystery filled with learning experiences for kids. Check out 13 fun facts & quotes from Zootopia to learn more about this awesome family movie! Since Zootopia merchandise is sure to be on your kids’ wishlists this year, don’t miss our favorite Zootopia books and toy suggestions. Can’t get enough of the cast? Check out more movies starring the stellar Zootopia cast. Releasing on May 6th. What happens when two super heroes take different sides in a debate about how much government oversight they should deal with? Very. Bad. Things. In Captain America: Civil War, Iron Man and Captain America stop fighting crime and start fighting each other. That can’t be good news for the rest of the world! Check out a Captain America: Civil War sneak peek and breathtaking photos over at our sister site, My Teen Guide. Releasing on April 15, 2016, The Jungle Book is a gorgeous live-action version of the beloved tale by Rudyard Kipling. The outstanding cast includes Scarlett Johansson, Idris Elba, Bill Murray, Christopher Walken. Check out stunning cast photos of the actors with their characters! Brush up on your Jungle Book movie trivia, then check out a yummy movie-inspired party drink for kids. This is definitely on my top 5 must-see movies list for the year! Releases May 27th. Oh the excitement! I can’t tell you how long I’ve been waiting for this one. Alice is back in Wonderland, this time to save the Mad Hatter (the incredible Johnny Depp). Tim Burton, sadly, doesn’t direct, but he is producing, so it should still have all his magic touches. Head over to My Teen Guide and check out an exclusive Alice in Wonderland music video and Alice trivia! Release date: June 17th. Another one that we cannot wait to see, I think everyone has been anxiously awaiting Finding Dory ever since the credits rolled on Finding Nemo all those years ago. In this long-awaited sequel, Dory goes on a little quest of her own to find out more about the past she can’t remember. We have plenty of fun content planned around Finding Dory. Check out our Finding Dory Trivia & Movie Quotes to get started! Planning a Dory-themed party? You absolutely need to check out this yummy Finding Dory inspired homemade blueberry ice-cream recipe! Releasing July 1st. The Roald Dahl classic- a book dedicated to Dahl’s daughter who died of measles-related complications- comes to life thanks to Steven Spielberg. The “BFG” is a big, friendly giant with superhuman hearing and speed who collects and distributes good dreams from children around the world. He befriends an orphan named Sophie, who helps him deal with other giants that don’t like him. Learn more about this great family movie with our The BFG trivia and movie quotes, then make our version of the Frobscottle drink for kids from the book! July 8, 2016. This coming-of-age story tells the tale of a young man who couldn’t speak as a child until his family figured out a way to communicate by watching classic Disney films. This movie will be shown exclusively on Amazon Prime Video. Releases July 8, 2016. This Illumination film from the makers of Despicable Me and Minions gives us an inside peek at what our pets really do when we’re not home. It looks absolutely hysterical and is high on my must-see list! Check out our Secret Life of Pets trivia, then find out what other movies the cast has starred in! July 15, 2016. This reboot stars an all-girl cast as the title spirit hunters. In the movie, Erin and Abby write a book claiming that ghosts are real. Years later, at the worst possible time, the book resurfaces and Erin is laughed out of her prestigious teaching career. The two reunite just in time to help stop a ghost invasion in NYC. July 22, 2017. When Scrat’s pursuit of the evasive acorn sets off yet another chain of cataclysmic events, Sid, Manny, Diego and the gang have to embark on a new adventure to find a safe home. August 12, 2017. A reimagining of Disney’s cherished family film, “Pete’s Dragon” is the adventure of an orphaned boy named Pete and his best friend Elliot, who just so happens to be a dragon. September 23, 2016. Storks deliver babies…or at least they used to. Now they deliver packages for a global internet retail giant. Then one day, Junior (the company’s top delivery stork) accidentally activates the Baby Making Machine. Out pops a totally unauthorized baby girl! Junior and his human friend Tulip must race to place her in their first-ever baby drop. Releasing October 26th, 2016. Marvel’s magical super hero, Doctor Strange, hits the big screen later this year! Stars Benedict Cumberbatch as the title character, an arrogant surgeon who wrecks his career, then gets a second chance at a meaningful life when a sorcerer trains him to defend the world against evil. November 18, 2016. If you’re feeling major Harry Potter withdrawals, you’ll love this movie that follows the adventures of Newt Scamanader, the author of the Hogwarts textbook, Fantastic Beasts and Where to Find Them. Releases November 23rd, 2016. Moana is the animated tale of a South Pacific teen who goes on a quest- accompanied by the demigod Maui- to find a legendary island. Stars Dwayne ‘The Rock’ Johnson as the demigod. Releases December 16th, 2016. It had to happen eventually, right? A spin-off of Star Wars? Well, here it is! The events of Rogue One take place before A New Hope and follows the adventures of a group of rebels trying to steal the plans for the Death Star. February 10, 2017. The Caped Crusader gets a full LEGO makeover in the feature-length movie from the makers of the LEGO Movie. The film stars the voice talents of Ralph Fiennes, Rosario Dawson and Will Arnet, among others. March 17th. Emma Watson (of Harry Potter fame) stars as Belle, the princess who shows the world that love can soothe even the most savage beast. Despite the headings on YouTube trailers, Daniel Radcliffe does NOT play the beast. That honor goes to Dan Stevens. Check out our favorite Beauty and the Beast movie quotes & trivia. March 24, 2017. One of the longest-running kids TV series is getting a reboot and big-screen makeover. A group of kids from a small town are infused with super powers so they can fight a great threat to the world. Based on the plot summary, it seems like they’re rebooting the franchise and starting from the beginning. Should be interesting to see where they go with it! Releases April 7, 2017. The Smurfs are back in a fully-animated comedy with a fresh new take on the famous blue creatures. This film marks a return to the tone and style of the beloved comic book creations of Peyo. The voice cast includes Demi Lovato as Smurfette, Jack McBrayer as Clumsy, Joe Manganiello as Hefty, Danny Pudi as Brainy, and Rainn Wilson as Gargamel, with Mandy Patinkin as Papa. Releases May 5th, 2017. Not a whole lot of details available yet about this film, but it continues the team’s adventures to find out the mystery of Peter Quill’s true parentage. May 19, 2017. The adventure of Surly Squirrel continues as he bands together with his friends to stop their home from becoming a theme park. May 26th, 2017. This installment of the Star Wars series doesn’t even have an official title yet. Details are incredibly vague because everything about this film seems to have better security than Fort Knox! For now, check out the below teaser trailer and reaction breakdown. June 2, 2017. DreamWorks brings to life one of the most popular children’s book series by Dav Pilkey. In the series, two rather mischievous kids hypnotize their nasty principal and turn him into the titual Captain Underpants. Then they go on crazy adventures to save the world. This is my son’s favorite book series, so I know he’ll want to see it! June 16th, 2017. Kids can’t get enough of Lighting McQueen and his pals? 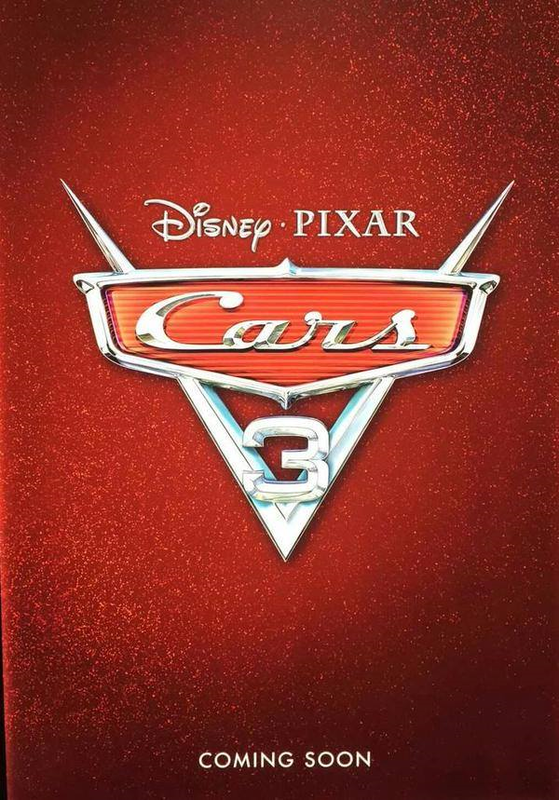 Disney Pixar announced that they will be making a Cars 3, but didn’t release any details about the plot yet. Or the title. Vague? Yep. But hey, at least you can tell your kiddos that it’s on the way! June 23, 2017. The Transformers franchise continues with a 4th film that director Michael Bay says will be more like part one in a new trilogy. I imagine it’s kind of like how Star Wars has three different distinct trilogies that all tie together. Mark Wahlberg and Anthony Hopkins will star in the film. June 30, 2017. The adventures of Gru, his adopted kids and, of course, the Minions continue in the third installment of the insanely popular franchise. The movie is currently in development, but it looks like Trey Parker will voice the newest villain. July 7th, 2017. Johnny Depp is back as Captain Jack Sparrow. This time, he’s on a search for the trident of Poseidon. I can only imagine why he needs that! July 28, 2017. Seems like a lot of old classics are getting a makeover this year! While details are incredibly sketchy, rumor has it that Dwayne Johnson and Trey Parker will play a role in Sony’s updated version. Releasing August, 2017. The Sony pictures release will bring the emojis to life in a “comic take on the secret world of our phones and the beloved characters that have become daily necessities in global interpersonal communication.” You know it had to happen eventually! September 22, 2017. According to Movie Insider, Ninjago tells the story of six young ninjas tasked with defending their island home, called Ninjago. It’s not a surprise that Warner Bros. Pictures is creating a big-screen version. Ninjago is one of LEGO’s most popular lines. November 3rd, 2017. That lovable Norse god of thunder is back for a 3rd time. Rumor has it the Hulk is going to make an appearance in this one! Nov 22, 2017. A new tale inspired by the Mexican Dia de lost Muertos, or Day of the Dead. It’s brought to us by the same director of Toy Story 3, so it should be pretty excellent! Coco follows the tale of a 12-year-old boy named Miguel, who inadvertantly sets off a chain of events relating to a century-old mystery. Coco actually means bogeyman-like spirits in Spanish. December 8, 2017 . The computer-animated feature is directed by Oscar nominee Timothy Reckart (HEAD OVER HEELS) and tells the story of how a small but brave donkey and his animal friends become the unsung heroes of the greatest story ever told- the first Christmas. As we get further out, details are incredibly vague for the upcoming Disney family movies. We’ll be filling in more details as soon as we have them! For now, check out a peek at what to expect. January 12, 2018. When a bunch of garden gnomes go missing in their hometown, Gnomeo and Juliet call in the famous Sherlock Gnome (voiced by Johnny Depp!) to solve the case. James McAvoy and Emily Blunt also star. Feb 16th, 2018. Based on the Marvel character that we meet in Captain America: Civil War. March 19, 2018. 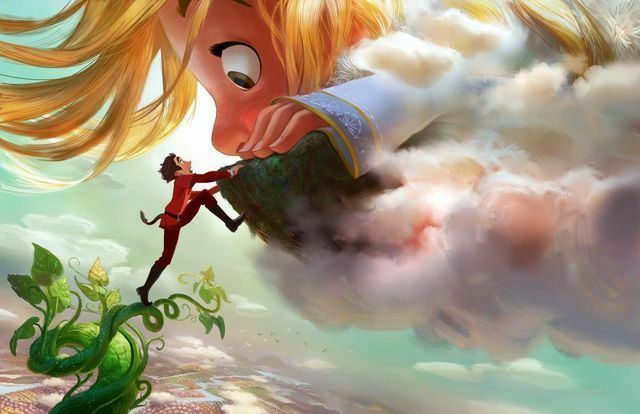 Gigantic is based on the story of Jack and the Beanstalk. This animated version takes place in Spain during the Age of Discovery. Jack becomes friends with a giantess princess. The movie will feature heavy musical components, sort of like Frozen. March 23, 2018, Sony Pictures bring the classic story of Peter Rabbit and his family’s battle with the human McGregors to life on the big screen. This movie is still in development, so we don’t have any other details yet. May 4th, 2018. The first of a 2-part story, the conclusion releases in 2019. It’s supposed to be kind of the ultimate culmination of all the Avengers stories up to this point, bringing together the entire conglomeration of heroes and their stories into one incredible story line about the search for the Infinity Stones. May 25th, 2018. Disney announced the 2nd film in the Star Wars spin-off series. As with all the films in the Star Wars franchise, details are sketchy. June 15, 2018. We can never get enough of Toy Story and Disney knows this! While I thought Toy Story 3 did a perfect job of ending the trilogy, it will be interesting to see where they go with the 4th installment. I thought perhaps they would do something with Andy’s children, maybe have him find his toys in a yard sale or something. But based on what I’m reading, it picks up where the 3rd film left off and is quite a love story between Woody and Bo Peep. This tweet just may or may not be a conceptual art peek at the upcoming film! Luhn never confirms. Tentative date: June 29, 2018. The story of Hiccup and Toothless continues! Very few details available yet, but Cate Blanchet, Gerard Butler and Jay Baruchel will be among the voice cast. July 6th, 2018. Not much to report on this one yet, except that it centers around Carol Danvers. It’ll be nice to see a female super hero lead! September 21, 2018. Although the director of the Hotel Translyvania films thought he was done telling the story after the second movie, an idea for another movie just came to him. Hmm, I wonder what it could be? Can’t wait to find out! Adam Sandler, Selena Gomez and Andy Samberg will be returning as the voices of Dracula, his vampire daughter Mavis, and her human husband Johnny. November 2, 2018. This sure seems to be the year of the super hero, doesn’t it? Again, not much to tell yet, except that rumors have Vin Diesel maybe playing the character Black Bolt. This film is based on the comic book series of the same name. December 21, 2018. Sony pictures will release an animated version of everyone’s favorite superhero, spearheaded by Phil Lord & Christopher Miller, the geniuses behind THE LEGO MOVIE. Again, the further out we go, the sketchier the details. For the 2019 Disney releases, we have very limited info right now. Keep coming back though! We’ll be checking constantly for updates and let you know when we find them! May 3rd, 2019. As mentioned above, this is the conclusion to the epic Avengers movie releasing in 2018. June 21, 2019. The first Incredibles was always one of my favorite Disney movies, so I’m excited to finally see a sequel. Brad Bird writes the story, which focuses more on the family dynamic than the actual super heroics. Samuel L. Jackson may or may not return as Frozone. We just don’t know yet! Sometime in 2019. If you thought the details on Episode VIII were vague, I can’t even tell you WHEN in 2019 Episode IX comes out, let alone its name or anything else. Just know that it’s happening, my friends. Disney also has four release dates locked in for untitled fairy tales. These dates are 12/22/17, 11/2/18, 3/28/19 and 11/8/19. We have no idea what’s going to come out yet on those mystery dates, but rumor has it that they might be more live-action versions of some of our favorite tales. If you look at recent films, that makes the most sense. Between Cinderella, The Jungle Book, and the upcoming Beauty and the Beast, it seems to be the new pattern. Care to take any guesses? I’d love to see a live-action version of The Little Mermaid! *Photos courtesy of the Disney Wikia, unless otherwise noted.